At first glance, an Indian-Italian connection may seem unlikely, but in fact, Italy and India are long-time partners in international business development and managerial education. SDA Bocconi Asia Center is a Pan-Asian hub delivering Top Executive Education Programs and Top Post Graduate Programs in Mumbai designed by SDA Bocconi, a Top B-School in Italy. Today, Indian students are pursuing International Master in Business, Executive Master similar to other Top Executive MBA programs, Executive Program in Luxury and in Business Analytics, and Education in Entrepreneurship and Innovation at SDA Bocconi Asia Center. The International Master in Business takes two 11-month modules to complete and is modelled after the Master’s in Management at SDA Bocconi’s Milan campus, currently ranked 10th worldwide. What value does a distinctly Italian business education bring for an Indian student? International professors – SDA Bocconi Italy maintains a core faculty of 20 researchers and teachers along with an advisory board of 12 top leaders from the finance world, including the Chief Executive Officer of Credit Suisse Italia and the Chairman of Dompé Farmaceutici. The school’s core faculty earned academic credentials from top European and North American institutions such as New York University and MCE Brussels. The school also hosts professional and visiting faculty members from cutting-edge academic and financial institutions all over the world. Some of these professors hold teaching positions at internationally renowned business schools like Stevens Institute of Technology – New York and ESADE Business School – Barcelona while others lead major corporations such as Credit Suisse and the Sandoz-Novartis Group. At SDA Bocconi Asia Center, this faculty body along with some faculty from India create a truly intercultural educational approach. Typically, Bocconi professors focus on a student’s knowledge acquisition and retention, an approach that proves especially helpful for the student’s overall development. International Faculty teach students how to conduct business within one of the world’s largest economies but also one of its most bureaucratic. Indian students who gain the skills needed to succeed in International business settings can thrive in nearly any cultural setting. 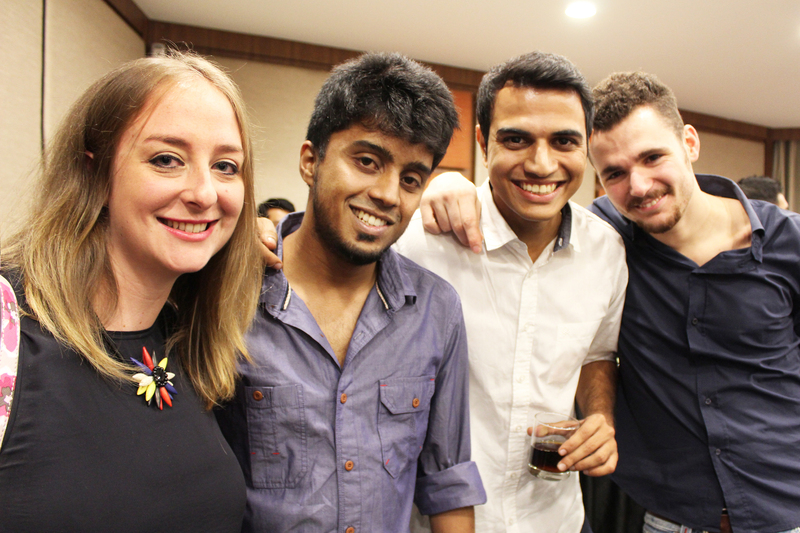 Cross-cultural experience – Indian students spend their first 11-month term studying on site, at SDA Bocconi Asia Center in Mumbai. In this term students are joined by Essec-Bocconi Double Degree students for 3 months. The students do an Internship and then an advance term followed by a mandatory four-month stint from September to December, taking four courses at Bocconi in Milan, Italy. During these four months of study, learners establish and conduct the “specialisation” component of their International Master in Business program by enrolling in subjects such as business analytics for decision making, luxury and fashion management, strategic management and management consulting. The cross-cultural experience offers students much more than simply a seat in a classroom in a different locale. 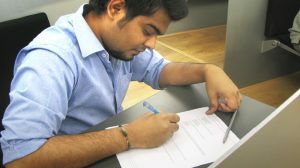 Participating Indian students can flourish through consistent international exposure, not only from the diversity within the classroom but from the surrounding European business culture. Bocconi welcomes 1,600 exchange students from more than 80 countries around the globe each year, so students get to know one another, build teams, strengthen their interpersonal skills and ultimately expand their professional and personal networks. In addition to the above, SDA Bocconi Asia Center hosts different modules for schools such as CEIBS, Rotman, Esade among others. Internships and Placement Opportunities – Internships are key to a world-class business school education. Internships create the introductions, hands-on projects and networking opportunities that offer business school students a chance to land top-paying jobs immediately upon graduation. Internships begin with a live project in which students work for a limited number of hours each week and under the direction of a mentor. By mid-October, student internships are in full swing. A large percentage of intern employers request students to return as full-time employees upon graduation. Some of the participating companies are multinationals and European companies with their offices in India. They are extremely keen on hiring students who have exposure to international business models and business ideas. As an alumnus of the Bocconi, students join an exclusive club to which few people can aspire, but as part of a network that’s 1,00,000-strong and growing, and build lifelong relationships that will prove invaluable throughout your personal journey and professional career. Earning a business degree, the Italian way can prove critical to an Indian student’s future career. SDA Bocconi Asia Center leads the way forward in intercultural business development by offering a rigorous, world-class learning experience taught by Italian professors, incorporating cross-cultural diversity and expanding the global reach of internship possibilities.